This specialized fixture holds your blade* firmly in place at the correct angle with respect to the sharpening stone. That means you can sharpen and re-sharpen either your standard or tapered Westwind reed knife as many times as you like without fear of damage. 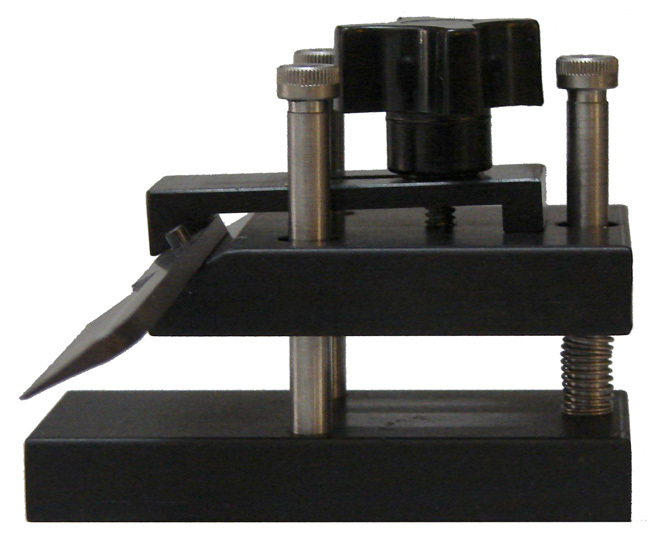 Learn more about the Westwind reed knife and sharpening system. * Blade not included with sharpening system.